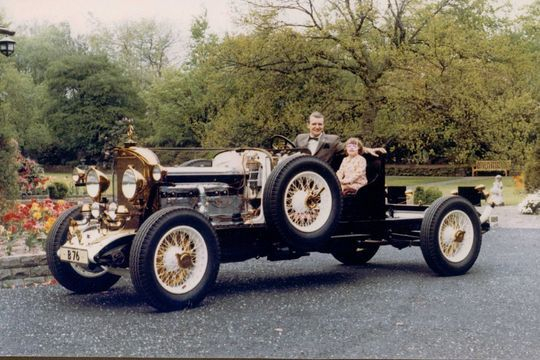 From the very early days Edward Beck, along with his only son Teddy, always had a passion for cars. 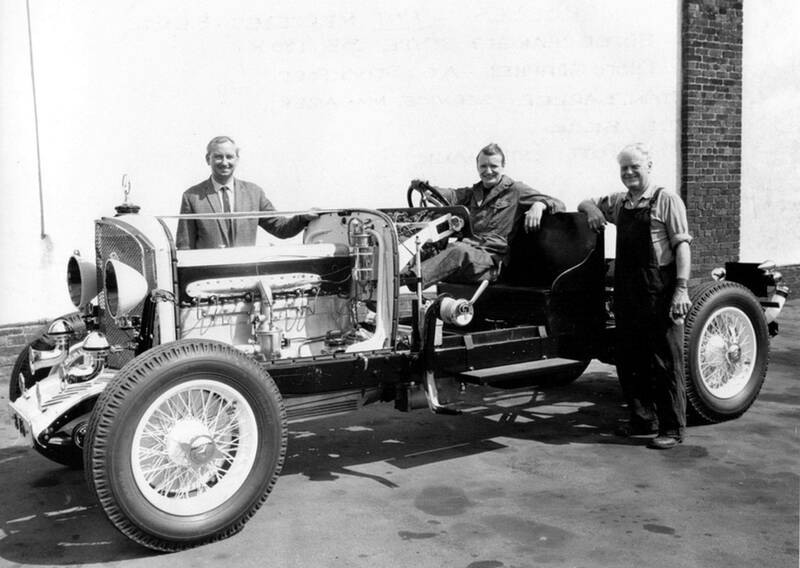 Fortunately being the owners of a successful company this gave them the opportunity to own many rare and interesting vehicles over the years. 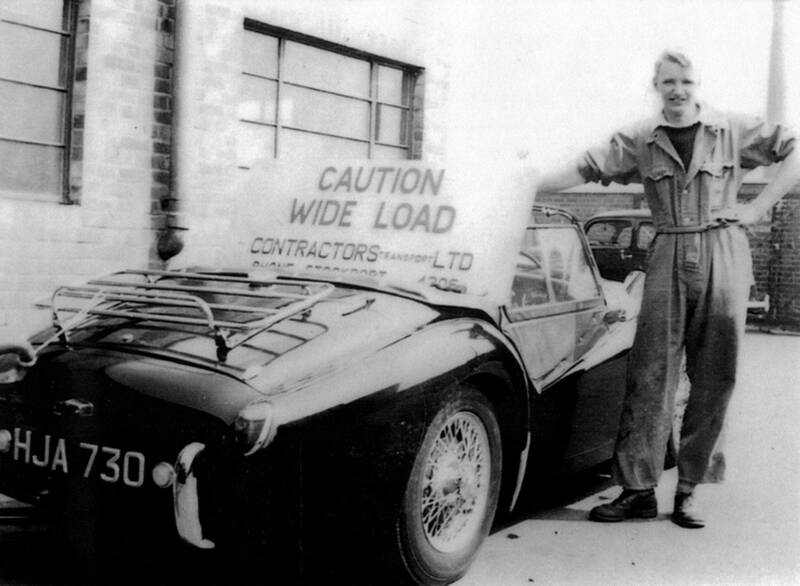 Following in his fathers footsteps Teddy Beck's passion for cars started at an early age when he is seen here at the age of 12 while sat in a 1949 M.G. TC at Gatley in Cheshire. 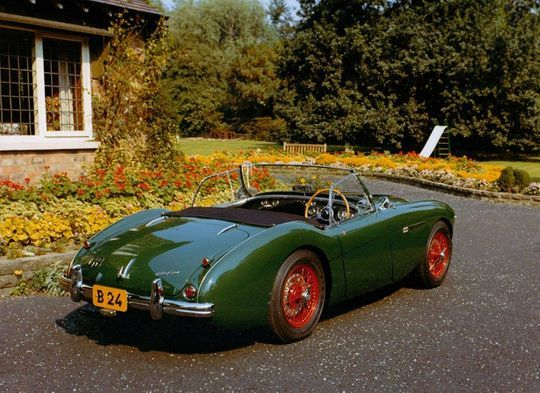 Edward Becks 1951 Austin Sheerline a luxury car produced by Austin Motor Company from 1947 to 1954. 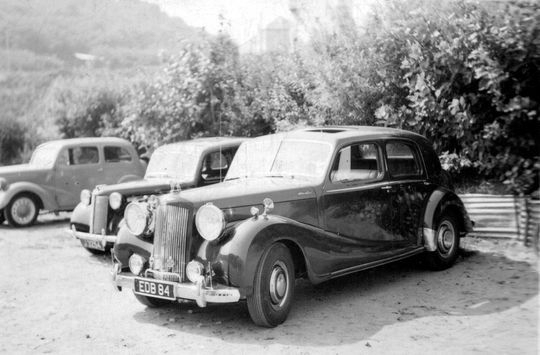 The Sheerline was designed by Austin during World War Two but production did not begin until 1947 because of the commitment to war production. It was a luxurious car in the style of the contemporary Rolls-Royce or Bentley but at a much lower price, around two-thirds of the price of the equivalent Rolls-Royce but still the price of five or six small Austins. 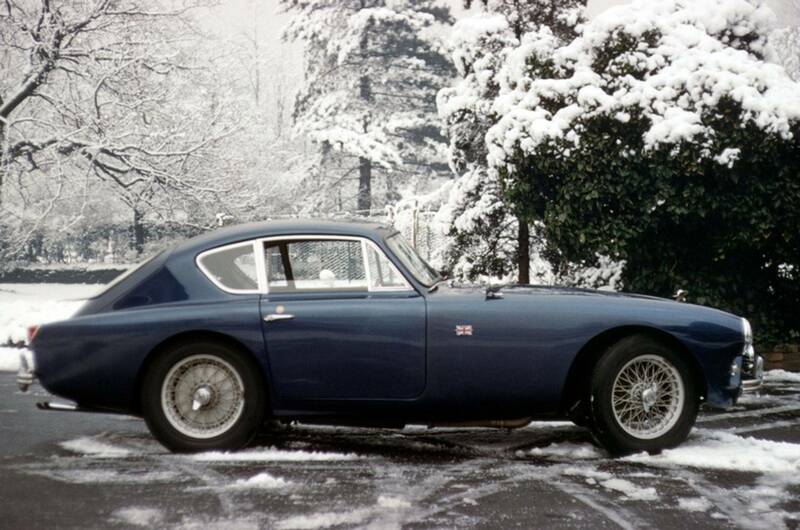 There were about 8000 built and today they are quite rare. 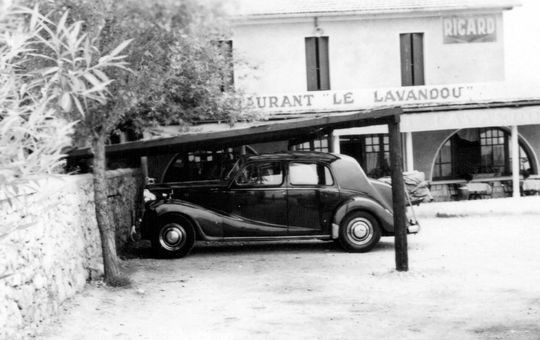 Another shot of Edward Beck's 1951 registered Austin A125 Sheerline this time pictured in France during a family holiday in 1953. Teddy Beck with his 1958 Volkswagen Karmann-Ghia at Stockport depot in 1959 which was fitted with an American Judson Blower to enhance it's performance. 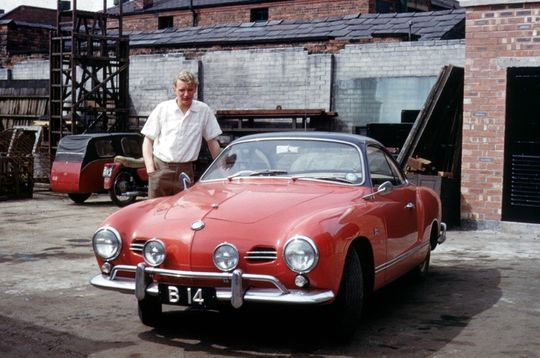 The Volkswagen Karmann Ghia was a 2+2 coupe and convertible marketed from 1955 to 1974 by Volkswagen – combining the chassis and mechanicals of the Type 1 (Beetle) styling by Luigi Segre of the Italian carrozzeria Ghia and hand-built bodywork by German coach-builder Karmann. 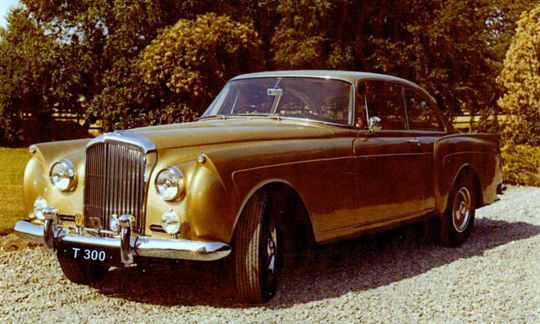 1959 Bentley SI Continental, with special coachwork by H.J. 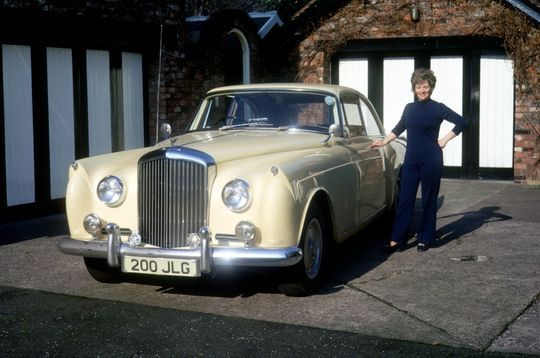 Mulliner, is pictured here in 1973 with Mrs Irene Beck at the family home in Hale Barns. 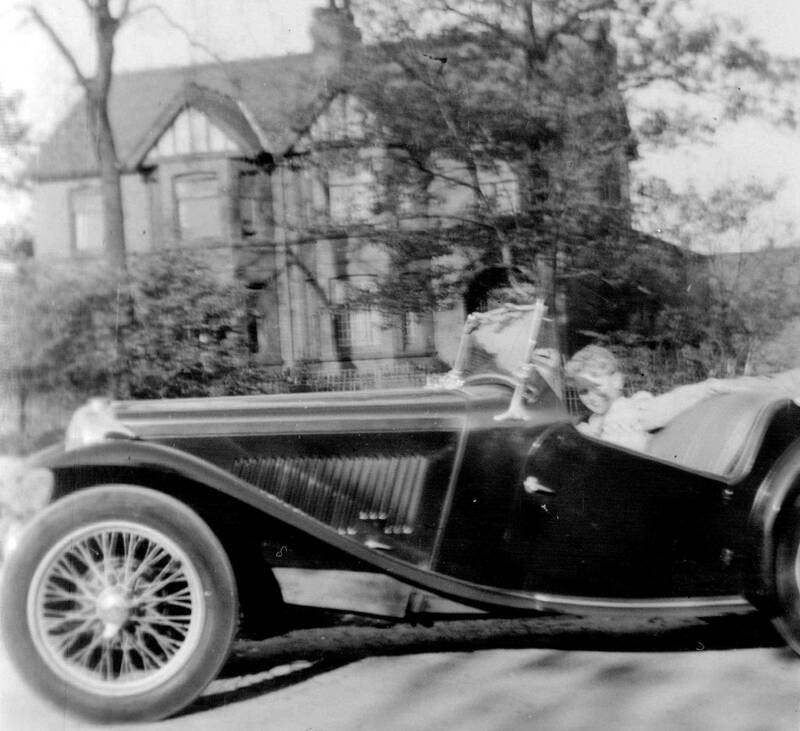 This vehicle was later rebuilt by Edward Beck as can be seen in the picture below. 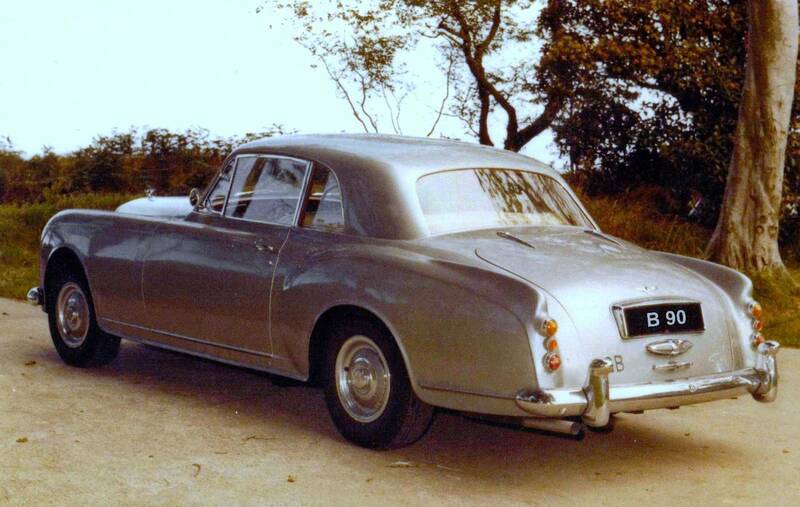 Originally registered new in 1959 Edward Beck's Bentley SI Continental, with special coachwork by H.J. Mulliner, is seen here after being totally rebuilt, given new gold paintwork and re-registered T 300. 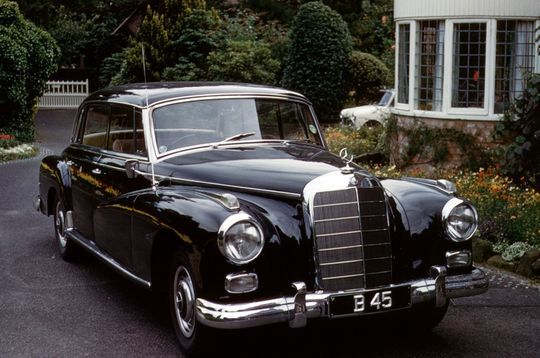 1960 Mercedes Benz 300D pictured in 1962 at the family home 'Amberley' Hale Barns Cheshire. 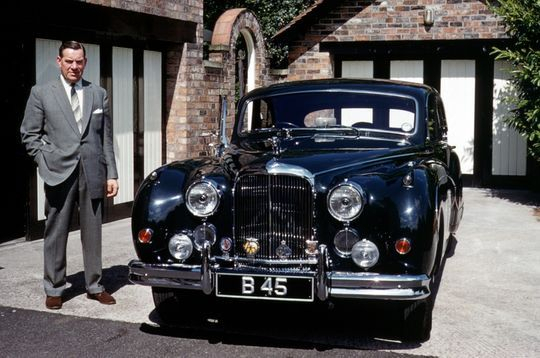 The late Edward Beck with his 1960 Jaguar Mk IX when new outside the family home 'Amberley' Hale Barns Cheshire. 1961 AC Aceca Coupe pictured in the grounds of the family home 'Amberley' Hale Barns Cheshire in 1962. 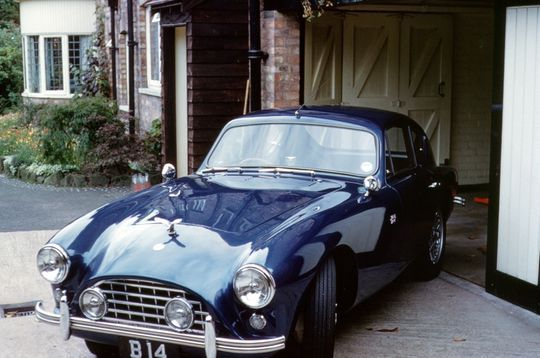 Another shot of Teddy Beck's 1961 registered AC Aceca Coupe parked outside the family home 'Amberley' Hale Barns Cheshire. The late Edward Beck (left) chairman of the company is seen here with his son John Edward Beck (Teddy) in 1965. 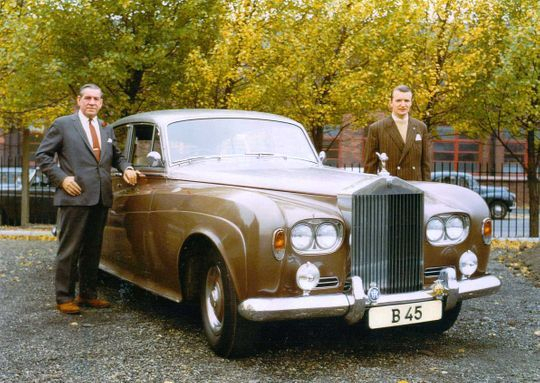 They are pictured standing next to Edwards brand new Rolls Royce Silver Cloud 3 which was a special made to order long wheel base version that remained in the family for many years. Baring the private number plate of Reg No B 90 is this Bentley Continental SI Sports Saloon with coachwork by Park-Ward. Teddy Beck aged 28 pictured outside the family home at Hale Barns Cheshire in 1966. 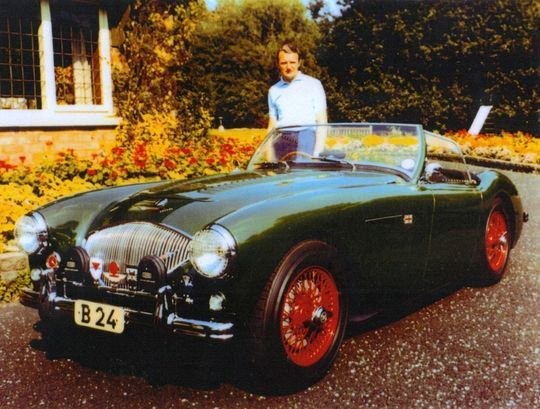 He is standing along side his Austin Healey 100 which he had bought brand new 10 years earlier in 1955 for the princely sum of £1,063 12s 6d. Teddy still owns this car today and it is in absolute pristine condition having only 14,000 miles on the clock. A rear end shot of Teddy Beck's Austin Healey 100 which he bought new in 1955 for the princely sum of £1,063 12s 6d. 1966 and Teddy Beck is pictured cleaning his Aston Martin DB4 GT Zagatothat he bought new in October 1962 at a cost of £5,210 from Hersham and Walton Motors in Walton on Thames. It was effectively a DB4 GT, lightened and improved by the Zagato factory in Italy, by Ercole Spada. 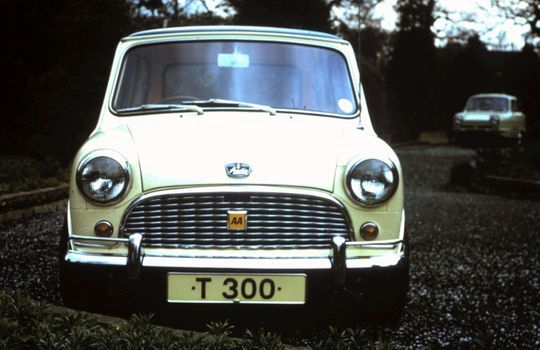 Initially the factory had plans to produce 25 cars, but demand wasn't as strong as expected and production ceased at the 20th unit. Nowadays, due to the rarity and popularity of the DB4 GT Zagato, the cars are worth a considerable amount of money, and at auction they reach well in excess of £1 million. 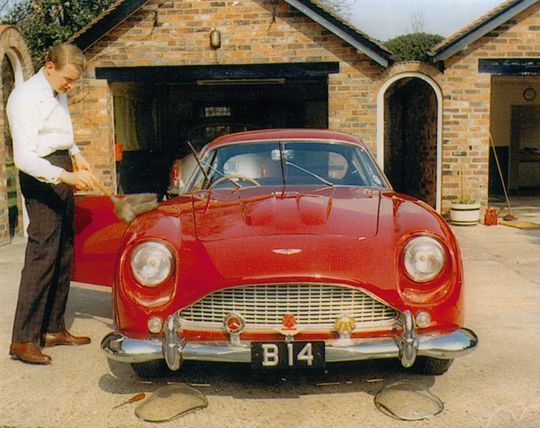 Another shot of Teddy Beck's superb Aston Martin DB4 GT Zagato that he bought new in October 1962 at a cost of £5,210 from Hersham and Walton Motors in Walton on Thames. 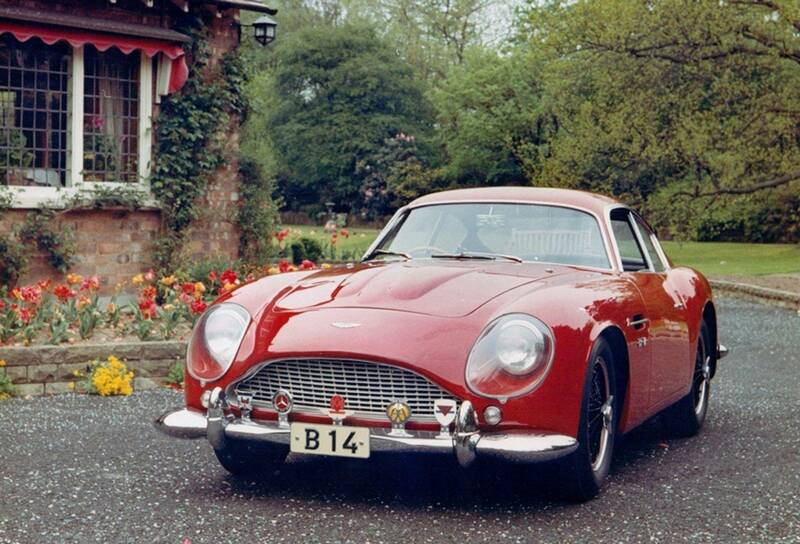 Chassis No DB4GT0176 R was the only example ever fitted with chrome bumpers. 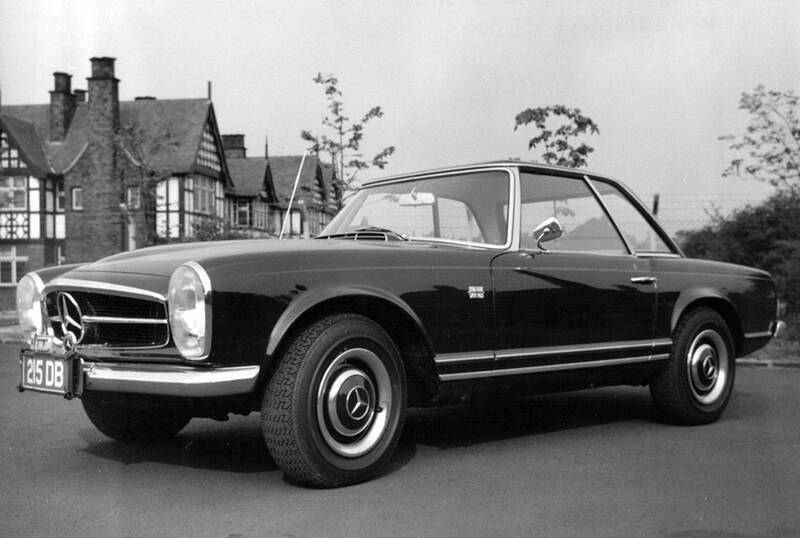 Mercedes-Benz 280 SL, seen here when new in 1967 on trade plates, was later registered T 300. The 2.8 litre 280 SL was introduced in December 1967 and continued in production through to February 1971. 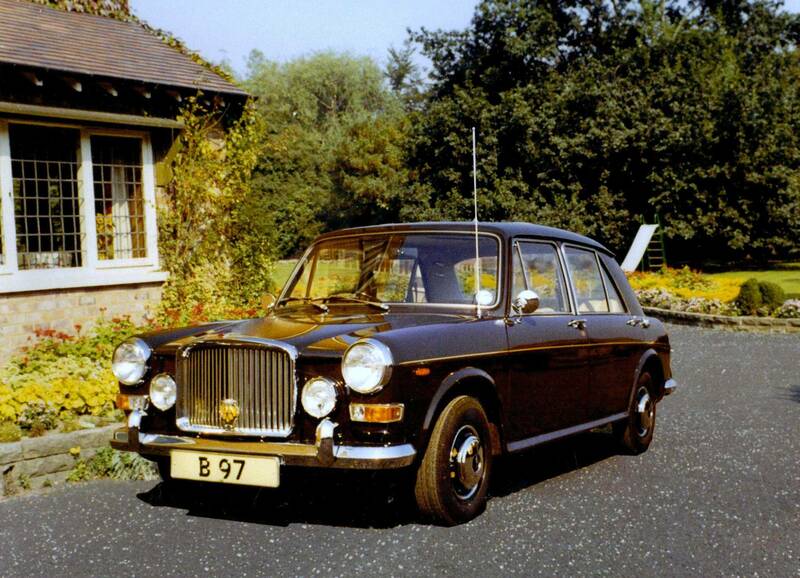 Mrs Irene Beck's 1970 registered Vanden Plas Princess 1300 which came in handy for nipping down to the shops in nearby Altrincham. Described at the time as a mini Rolls Royce, it had leather interior, deep pile carpets, extra sound proofing, veneered dashboard and picnic tables set in the rear seats. It was quite amazing how they fitted so much quality into such a small interior. 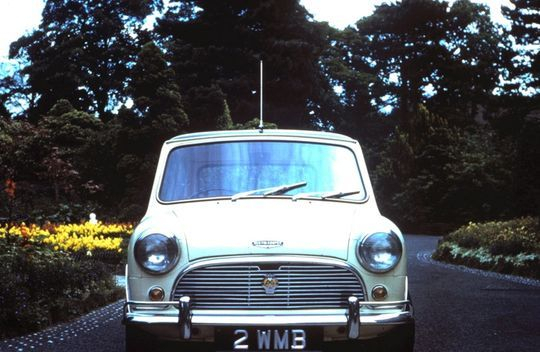 Pictured in the grounds of the family home at Hale Barns Cheshire, this Mark I Mini Cooper was fitted with a Webasto folding fabric sunroof with wind deflector. During the early 1960's Teddy Beck completely restored a Mercedes Supercharged Type 33/180k in his private workshops which were located within the company's depot on Greg Street in Stockport. 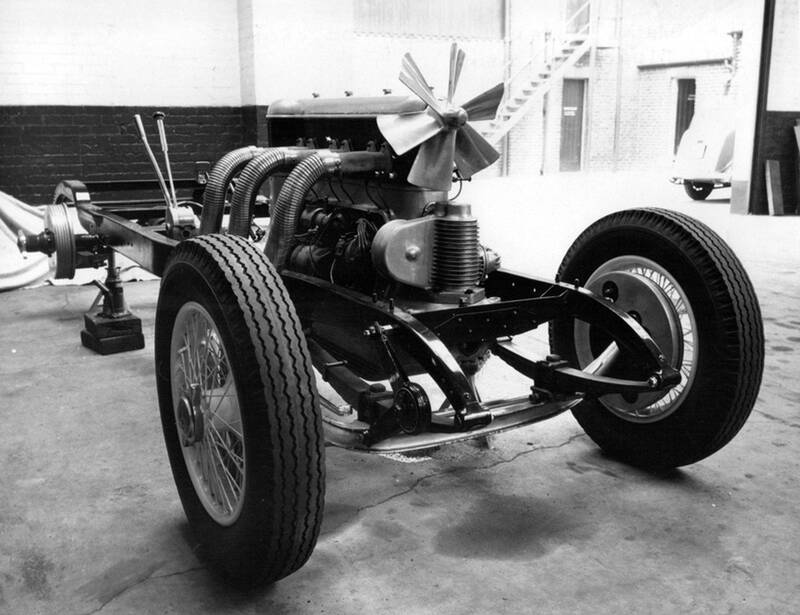 The restoration was far from easy, but was finally completed in 1970. The coachwork was a specially built boat tail tourer with dickie seat and was finished in white with black wings and red hide interior. 1964 and early days during the restoration process show the newly rebuilt engine installed on the restored chassis. 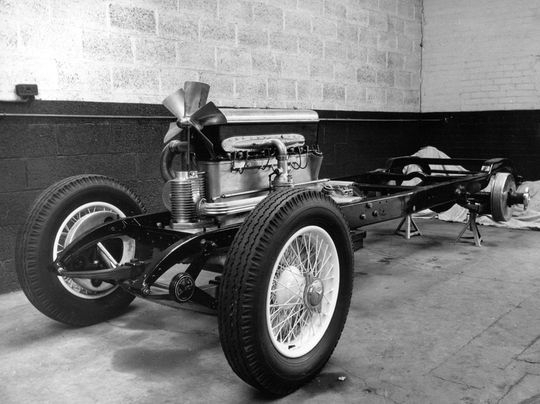 Another shot taken in 1964 showing the newly rebuilt engine installed on the restored chassis. Late 1964 and many hours have been spent restoring the Mercedes 33/180kback to it's former glory.